Wole Soyinka, in full Akinwande Oluwole Soyinka is a Nigerian playwright and political activist who received the Nobel Prize for Literature in 1986. Achievement: He was awarded the 1986 Nobel Prize in Literature, the first African to be honoured in that category. Soyinka was born into a Yoruba family in Abeokuta. He was raised in a religious family, attending church services and singing in the choir from an early age; however Soyinka himself became an atheist later in life. He writes extensively about his childhood in one of his memoirs, Aké: The Years of Childhood (1981). In October 1969, when the civil war came to an end, amnesty was proclaimed, and Soyinka and other political prisoners were freed. For the first few months after his release, Soyinka stayed at a friend’s farm in southern France, where he sought solitude. He wrote The Bacchae of Euripides (1969), a reworking of the Pentheus myth.He soon published in London a book of poetry, Poems from Prison. At the end of the year, he returned to his office as Headmaster of Cathedral of Drama in Ibadan. Soyinka has been a strong critic of successive Nigerian governments, especially the country's many military dictators, as well as other political tyrannies, including the Mugabe regime in Zimbabwe. Much of his writing has been concerned with "the oppressive boot and the irrelevance of the colour of the foot that wears it". During the regime of General Sani Abacha (1993–98), Soyinka escaped from Nigeria on a motorcycle via the "NADECO Route." Abacha later proclaimed a death sentence against him "in absentia." 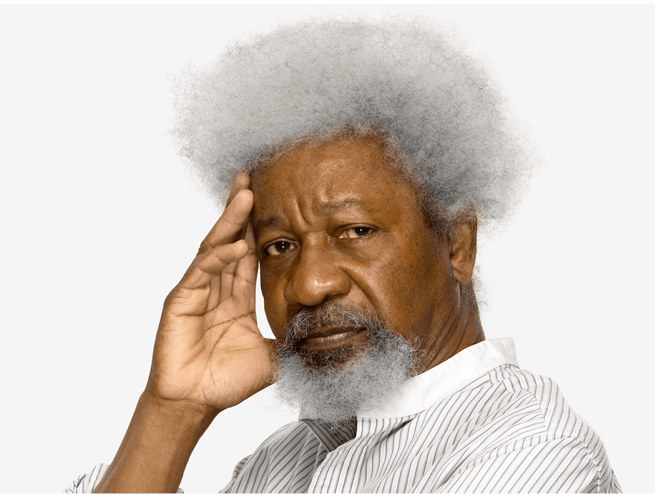 With civilian rule restored to Nigeria in 1999, Soyinka returned to his nation.